I've gone through most of the--quite few surprisingly--steampunk questions and although one answered my question for how a steam powered arm may function, this arm has a lot of exceptions. I'm basically going to relay all the information I've collected and the ideas I have. It would function like a normal human's arm, no additional power really. You aren't supposed to be punching or attacking with it. It's simply a prosthetic limb. Before you think about the arm, think about a chemical/steam powered revolver. That's my main concern. 3 and 1/2.) There's a loading mechanism and (I guess wires/tubing?) that connect throughout the arm and loading mechanism. The revolver, when held, can be fastened or connected to it. The revolver is not technically connected to the arm but IS connected to the loading mechanism that is attached to the arm--plus the arm acts as a power source (or just one giant wire from the power source). 2 things really, is a chemically powered pistol possible? How would the addition of steam affect the chemical power, if any? How powerful could this actually be? You're technically not limited, considering Chem Tech is pretty fictional but chemical powered things aren't. So what would the limits be until it hurts the weapon and/or shooter. Once you have a pretty good idea of how the gun would work, my last question is what it would be forced to look like. If tubing is required to flow through each chamber or something, how would the final product turn out? Keep in mind the revolver is 7 chambered. 6 shots are chambered, each bullet is propelled by chemical force. The bullets' power/inertia can be optionally controlled by a steam powered mechanism (the bullet can be adjusted to fly further/"charged"). Say the 7th shot is always ridiculous, (and for added complexity, the 7th bullet is chambered in the center of the weapon). Traditionally the cylinder spins and 6/however many bullets are kept in their own cylinders, in this case it doesn't spin on an axis but instead is rotated from the side to allow room for tubing or something.) how powerful could the shot be without breaking the arm (thus the point of the arm, shock absorption.) and what chemicals would allow for that type of power? I'm still researching so if I figure out any of the math/science myself, I'll add it in. A few things should be brought to light, most importantly "propelled by chemical force". Yes, I'm an idiot. I honestly didn't even think about the fact that normally bullets are propelled by chemical reactions--I completely understand the confusion behind that. Alright so the next problem is that only a few people have realized the complexity in the "7th Shot". Not only is it's location kind of inconvenient, but also I still don't know how powerful it can actually be. So my next step, naturally, is the chemical reactants you guys have to work with. I'm currently trying to ignore the steam powered portion of the weapon/arm just to make it easier. 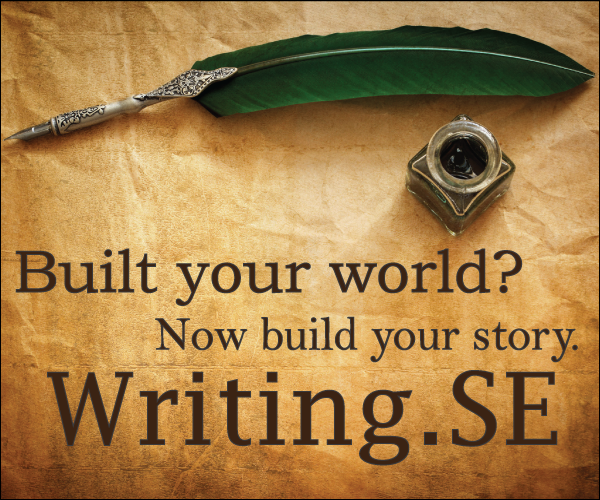 Once I think I have enough to give a semi-finished product, with everything combined, I'll pitch it to you guys. Okay, Chem-Tech. You guys need a definition of sorts, but I can't really give you one. I've decided that Chem-Tech can simply be something infinite, and instead use gunpowder for the revolver. Chem-Tech is simply an unknown substance that makes up for any lack of power. The steam is magical: Yes the steam is technically supposed to be some sort of infinite power source, created by magic. I'm trying to ignore that, but let's try to keep it in mind in case you find yourself saying "Oh wow, I don't think steam can do that, dang." It's just magical then, okay? The arm is just as important as all the other components, it transfers most of the power and provides a lot of needed stability. Let's assume the arm is created from some sort of aluminum/iron mix or something. It might be slightly heavy, but whatever. Say they can lift, point, shoot, don't even bother factoring weight unless it's important for determining power. The arm is only meant to make things less-breakable, we wouldn't want someone to shoot this gun and loose a limb. When you can, don't make things infinite. In the case of Chem-Tech, it's basically always infinite but we're not really using it to power the bullets most of the time so it's fine. It's just an additional fantasy element needed to clear things up. Ammo is still a thing, I'd just go ahead and assume these are .44 caliber bullets. Make them as durable as you can--even infinitely durable, as it's kind of important our bullets don't disintegrate. Honestly this is more about the weapon than the ammunition it uses. We have 3 power sources, lets make gunpowder explosions, G; steam power, S; and Chem-Tech is C.
__ amounts of G create the force needed to propel a bullet. __ amounts of S create additional force, that can be implied whenever needed. Let's say our character never misses, he can essentially add __ S and turn this revolver into a sniper rifle. __ amounts of C. I can't even say how powerful C is, nor can I think of a reaction that is as controlled as gunpowder in the form of liquid chemicals. So let's just make C infinite, there is no limit. C simply makes up for all mishaps, it fuels the generator for the steam power maybe, it makes the gunpowder stronger if it isn't enough. It simply makes up for all loose ends--but it doesn't actually propel anything. Now let's say we use C instead of G... say that C is controlled and can propel the bullet with infinite amounts of kinetic energy. Even if this is a controlled reaction, knock-back/recoil is still a factor. Despite our mechanical arms efforts, at what point would the weapon become unusable--the arm or weapon breaks. Keep in mind that the revolver is primarily made of iron. So far that's what I've kind of re-thought about. It's difficult to compile all of this information. I've decided that I might actually write the story for the character and then talk to a few of you individually about it. This way you guys understand what the character seems to be capable of, and understand the limitations. This is also the first time I've had some legitimate difficulty writing a character. Normally I get this sort of science stuff sorted out before the character is written. In this case I need a bit of an example and I'd also like to construct a blue-print of sorts. Since a revolver is a highly developed weapon using self contained "chemical" propellant anyway, your question as worded really makes no sense. However, looking at the question a bit differently could change the complexion of this. First possible rethink is to use the steampunk mechanisms to bring the weapon to the hand. The pistol is holstered in some sort of space inside the sleeves, concealed from view. When the user requires firepower, the mechanism built into the arm propels the pistol on a slide or other mechanism directly into the waiting hand. 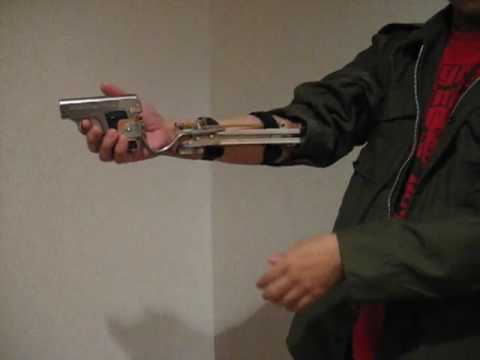 This is a variation of spring powered mechanisms which were actually used (the Travis Bickle character in the movie "Taxi Driver" has a small calibre automatic pistol hidden inside a sleeve this way). A small amount of steam can drive a ram to deliver the pistol, or retract it when not needed. The other way to read this is the character isn't carrying a revolver, but rather an automatic weapon patterned after a revolver cannon. Similar in concept to a gatling gun, a revolver canon dispenses with the weight and revolving mass of the multiple barrels, and simply feeds to rounds to a revolving chamber where they are loaded, fired and ejected. The smaller rotating mass brings the weapon up to maximum rate of fire more quickly than a gatling gun, and the overall weapon can be smaller and lighter. There is nothing inherently difficult to build and chamber such a weapon in pistol calibre, and the "steampunk" part is the feed mechanism which moves the belt from the ammunition container (which might be a backpack) across the body and to the weapon to overcome friction in the chute and provide smooth feeding of the weapon. In either case, the weapons are self powered and the "steam" is only needed to either power a ram or other mechanism to bring the pistol to and from the shooters hand, or crank a belt of ammunition through a flexible chute to the weapon. High purity hydrogen peroxide exposed to a catalyst energetically decays into a very hot combination of water and oxygen, in other words steam, this is already being investigated for use in "rocket powered" (actually steam powered) prosthetics, this hydrogen peroxide monopropellant (hence why they call it a rocket) could also be used to fire bullets although I don't know if it would be as effective as gunpowder. I'd go for pure steam. It's easier than mixing steam/chemical propellants. Most chemical propellants don't like getting wet, so why bother with them? I'm going to design this just as a revolver and forget about the prosthetic hand. I'll also forget about your "trick shot" seventh shot through the center of the revolving chamber. It adds a lot of mechanical complexity. Quick disclaimer: I take no responsibility for people building something like this device. 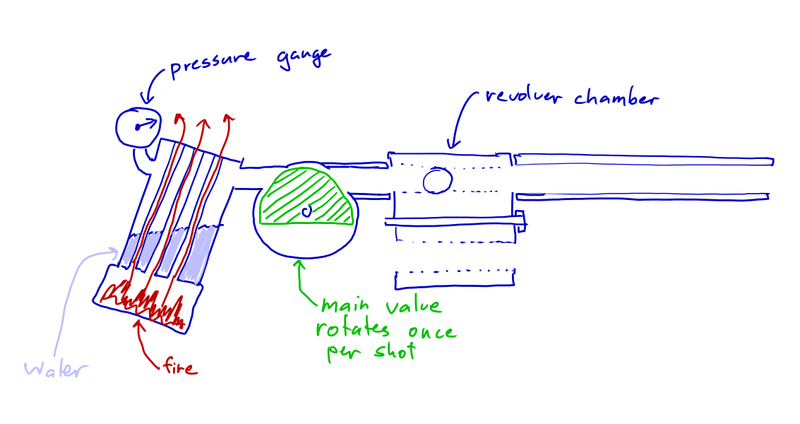 It is intended to show how the mechanism of a steam revolver could work, nothing more. On the left we have a boiler. It's roughly based on a fire-tube boiler where the flame/exhaust passes through tubes in the boiler itself. This is more expensive to produce, but reduces the amount of time for your gun to "get steamed up." I'm not too concerned about the source of the fire. Perhaps it's coal-gas, perhaps propane, perhaps white spirits. I'd go for gas as there's less to go wrong if you drop your gun. Just for safety I've put a pressure gauge on there - so you don't end up firing half-charged shots without knowing about it, and you know if your gin is about to explode. Despite drawing the boiler in a position that looks like it may be a hand-grip, do not build it into the hand-grip. During operation it will exceed 100 degrees (pressure raises boiling temperature), so gripping it is a terribly bad idea. Old steam engines got up to about 250PSI, but because we have a small projectile we'll may need more than that. For reference the chamber pressure of a modern 9mm round is in the 34,000 PSI region. There's no chance we can get that high, but I hope your metallurgy is good enough to get to several hundred PSI. (the lower the PSI the longer your barrel will need to be, or the wider the round). In the middle we have a rotary valve. The D-shaped part rotates until the steam can flow from the boiler into the barrel. THe timing of this is quite important. If it's too short you lose power. If it's too long you waste water. This gives a way for the user to regulate the shot, providing a solution for the first part of your #8. I'd suggest an escapement mechanism for driving the valve, possibly with a spring to provide the rotation. The trigger just releases the escapement, it does a single turn and returns to it's original position. After the shot the same clockwork mechanism can rotate the chamber. This could provide a very consistent shot-to-shot power. The valve releases steam into the barrel, where it pushes the bullet along, and hopefully towards the enemy. Where does your prosthetic arm fit? Well maybe it can provide the fuel for the burners. As everyone keeps saying, modern firearms are chemically propelled. The gunpowder is just that, a chemical. You activate it with the firing pin and it goes bang, and out comes the bullet. You can change the propellant to something more 'Chem-Tech,' whatever that means in your story, and achieve the same effect. If you've ever shot a revolver, you know how much they recoil. For something like a .44 magnum it can be pretty significant for a someone with skinny arms or a weak grip. So for your questions, the six shooter can use gunpowder as its chemical propellant. Old gunpowder was sulfur, charcoal, and saltpeter; the first smokeless powders were nitroglycerin and guncotton; modern powder is mostly nitrocellulose. For recoil, a .357 or .45 won't kick too much, a .357 magnum will kick a bit, and .44 magnum will give you a run for your money if you try to crank off all 6 rounds at the cyclic rate. In WWII, the British experimented with steam powered anti-aircraft guns. Keep in mind, this isn't a projectile gun, its a mortar. The Holman projector was designed to use a merchant ship's steam power to throw a mortar a couple hundred feet in the air. At which point the ~4 lb bomb would explode and hopefully take a German torpedo bomber with it. Your weapon could basically just be a mortar, or for an example from gaming, it act almost exactly like the grenade launcher in Goldeneye (shout out to my 30+ year old N64 homies). The rate of fire for the early versions was an impressive 30 rounds per minute, or one every two seconds. This will give you the steam filled bang you want upon launch, as well as the high explosive or fragmentary pop you need when your Chem-Tech/steampunk/iron man uses his dreaded '7th shot'. I don't think I can answer all of your concerns, but I'll do what I can. The propellant of your cartridge is a Hypergolic mixture, one which reacts more quickly at high temperatures. Each cartridge contains a fixed amount of one reactant, and the firing mechanism injects the other. Steam can be used to pre-heat the cartridge, the higher speed causing a larger portion of the reaction to occur before the bullet leaves the barrel, increasing acceleration and thus muzzle velocity. Assuming the hypergolic propellant can fit into your Chem-tech system, this sort of weapon would require fairly complex integration with the arm. A simpler system might store both propellants inside the cartridge with a firing mechanism that breaks the barrier between. This could be a more "standard" handgun, with the steam being improvised or aftermarket, potentially even unique since most users would presumably not want to scald themselves. This seems suspect. While increasing the muzzle velocity would increase the range somewhat, the barrel length and bullet shape are also important components in maintaining accuracy at distance. I could imagine a system where a second barrel could be swapped in for longer ranges, but it's not a matter of just changing focus and it would definitely require reloading. Depending on the priorities this could work multiple ways. In order for this shot to be in the middle of the revolver chambers, it could not use the same firing mechanism or barrel as the other shots. Because of the separate mechanism, it doesn't really have a reason to inherently fire last and could simply be a more specialized round; perhaps a shotgun blast or chemical canister. The propellant for this round would be similar to the regular bullets, and would get heated incidentally by the steam and firing from those shots in order to have its own higher-power reaction. Perhaps such a high-power reaction is necessary for it to be actually useful; it would most likely have a much shorter barrel than the main shots so without the fastest reactions it doesn't get much speed unless you heat it up with the first six shots. Having another bullet in the center does mess the rotation of the chambers though. Normally they are mounted on a rod through the center, but obviously that wouldn't work. I would recommend having the cylinder be completely removable, allowing fast reloads by swapping in a spare, and having it more enclosed by the gun's body than a normal cylinder so that there's room for bearings around the outside. It would add bulk to the gun, but I think that's pretty inevitable. This part actually kind-of pulls everything together. Let's actually go back to the gun itself first. It was originally a prototype, but the 7th shot never worked out; due to low heat the propellant didn't get good combustion and both the range and power were poor. As more and more systems were added to try and compensate, it reached a point where the weapon was too heavy to wield and frequently burned the user's hands with steam. Later (maybe not much later, up to you) most of these extra systems were moved to the artificial limb; it was more an accessory for the gun than the other way around. This opened up a lot of extra capabilities: the hand no longer complained about heat so steam could be applied liberally, and the 7th shot became a potent attack, while the supporting pipes and mechanisms could be much more spread out and would no longer cause problems through sheer inertia. Some initial tests tried more of a gauntlet design, but with the super-charged propellant recoil would routinely injure any testers. Some of that might not fit into your story, but I think it works best if the arm was made from the start for this very special gun. The arm could have spaces to hold your spare cylinders, or even automatically reload them while you're firing. It could store the extra barrel or two for different ranges. Whatever. All of that together makes a gun-system that includes a specialized mechanical arm, powered by magic steam and more magic chemicals. You seemed to want numbers, but I don't really see much point in that without much more precise phrasing of what you want. Hopefully this helps anyway. The way you described the 7th shot being in the centre fits perfectly with a winding mechanism. Each time a regular round is fired, the chamber spins to the next round, you could have it so that this rotation while firing the regular rounds is used to turn a high tensile watch style spring. After 6 shots the spring would be fully wound and be used to propel the 7th round. To impart sufficient force to wind a "propellant" spring the regular round's chemical charge could be diverted to help rotate the chamber (an opportunity for a spectacular sideways flash from the chamber). Now the mechanism to convert the spring's energy might not be the only propellant here, it could be backed up by the chem tech as well. The spring's energy could be converted to lateral force so as to just provide velocity, or alternativly to add spin/rifling on the round to "drill" through your target or increase accuracy to snipe a ranged target. You could possibly have diferent bullet types loaded that favour each firing mode. For example, a drill bit like tip for the spin shot to chew through armour after impact or fragmentation rounds where the spin adds a terrifying spiral of shrapnel. For the pure lateral force you could deliver chemical payloads, flechettes etc that dont care about accuracy, just pure impact velocity. 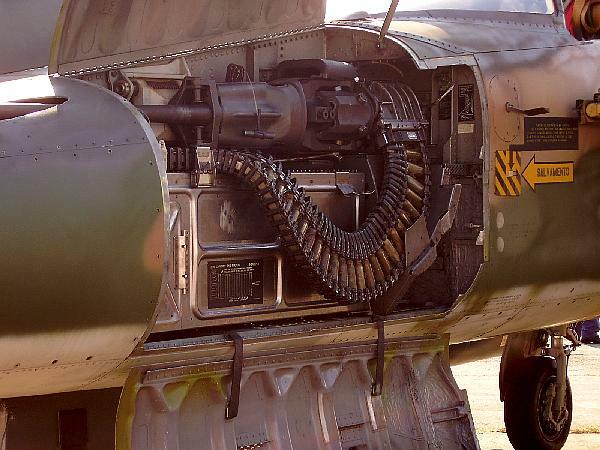 Having the chem tech "backup" propellant would also let you prematurely fire the "big shot" in desperate situations where you might not want to expend your 6 shots but need the added effect of say your "drill round" to punch through some armour/barriers or to unleash the acid round at a close range target. Not the answer you're looking for? Browse other questions tagged science-based weapons materials steampunk or ask your own question. How would a chemically powered gun work? How could something fly (steampunk tech) without lifting gas? Can a laser in outer space really appear as visible “bullets”? Could a human body survive the shockwave from a 2 megajoule explosion? Could one build a magnetic device capable of taking out the electronics of a mech/tank? Can biological material be magnetic? How can a teleporter stop a bullet? Steam Locomotive without Industrial Revolution?